Social entrepreneurs – our opportunity? The “social economy” employs over 11 million people in the EU (December 2016), accounting for 6% of total employment. 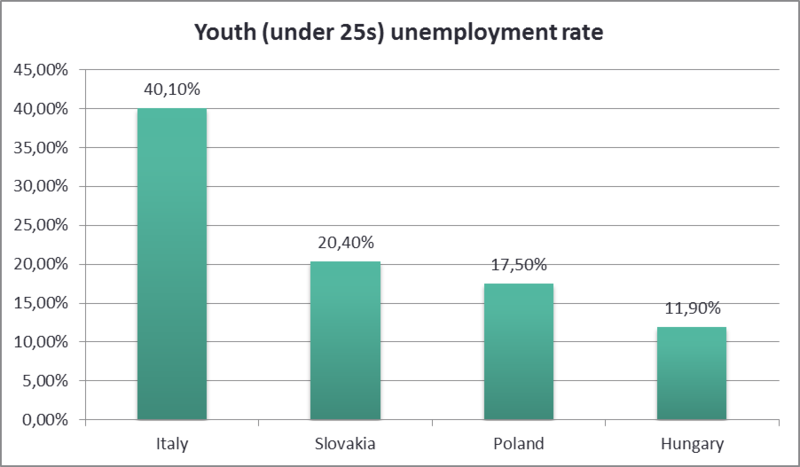 BUT: Social economy has very low share on overall employment in regions of Central Europe (PL, SK, HU). Conclusion: Education in this field is necessary as basis for activities of municipalities, NGOs and other relevant stakeholders. A social enterprise is an operator in the social economy whose main objective is to have a social impact rather than make a profit for their owners or shareholders. It operates by providing goods and services for the market in an entrepreneurial and innovative fashion and uses its profits primarily to achieve social objectives. It is managed in an open and responsible manner and, in particular, involves employees, consumers and stakeholders affected by its commercial activities. To strengthen the key competences and skills of young people at their final year at schools (VET institutions and universities), unemployed young people and leaders in rural areas to help them start a social enterprise in order to better utilize local natural and human resources, to increase economic development of rural areas and to prevent brain drain. Handbook (How to Establish and Manage Social Enterprises) and Best practices collection: The aim of this intellectual output is to develop a publication about social entrepreneurship where making a profit is not the main goal but creation of a social value is the aim. Best practices collection as sub-output is proposed with aim to illustrate and motivate users active in the relevant field. Curricula for training series, teaching material and E-learning videos: Curriculum will refer to the knowledge and skills which are expected to learn. Training series will be designed for primary target groups – (young people at their final year at schools; local leaders, mayors, other local government employees and small and medium-size entrepreneurs). Video will contain good examples from all partners’ countries. Game: Game creation is an innovative activity, which is aimed to increase motivation, but also for easier process of education of young people. Game will be aimed to social entrepreneurship. This project has been funded with the support from the European Union. This website reflects the views only of the author, and the Commission cannot be held responsible for any use which may be made of the information contained therein. Office: H-3530 Miskolc, Hunyadi u. 5.